Our outreach programs are for students pre-school through high school. 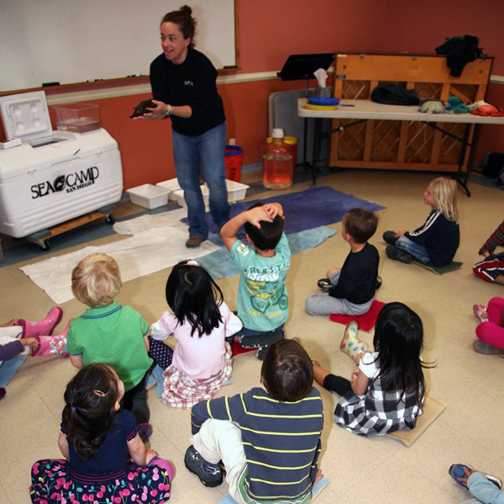 SEACAMP San Diego will bring a fun and interactive program to your school or facility. 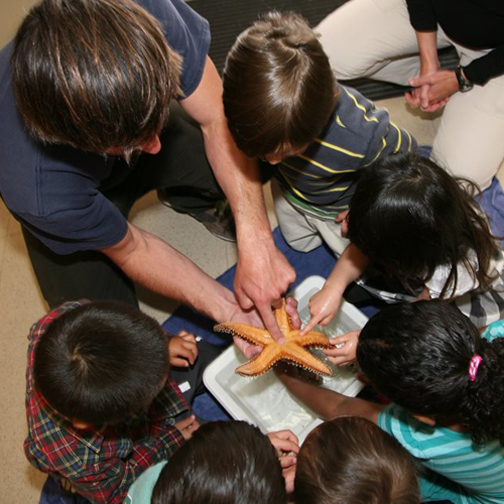 We offer a variety of learning experiences for students using live animals and activities. We even offer a comparative squid and mackerel dissection. Outreach programs are limited to a maximum of 35 students. Tuition cost is $200.00 for the first hour of program and $100.00 for each additional hour. Transportation fee may be applied for locations outside City of San Diego. If you would like to schedule an outreach program with us please give us a call at 1-800-SEACAMP or complete and return our SeaLab Program Request Form. Classroom Space: One space/classroom with accessible electrical outlets and a sink. Student groups would cycle through the one consistent space. Program availability is first come, first served and is based on available resources. Please give us a call to discuss options and availability or complete and return our SeaLab Program Request Form. We recommend contacting us between 1 and 3 months prior to your desired time frame.